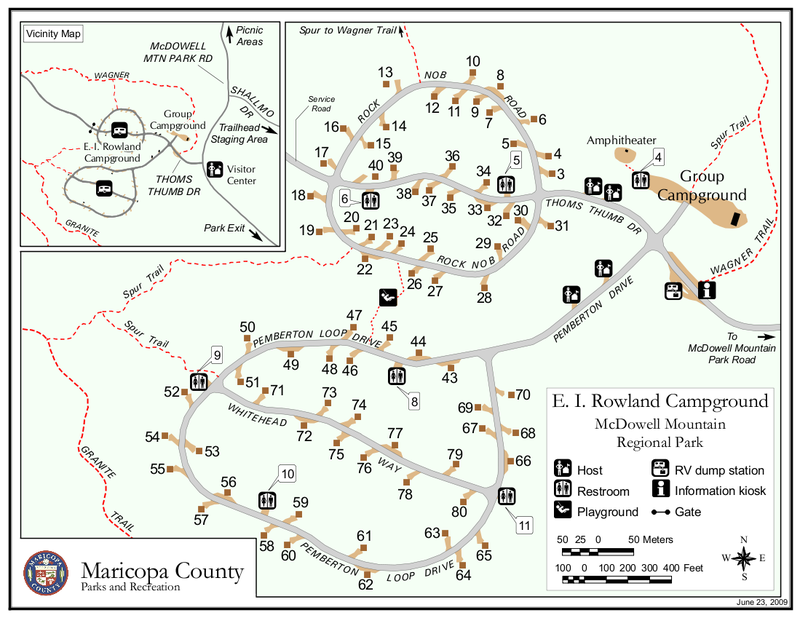 Overview:The McDowell Regional Park is located on the east side of the McDowell Mountains, north of Fountain Hills. 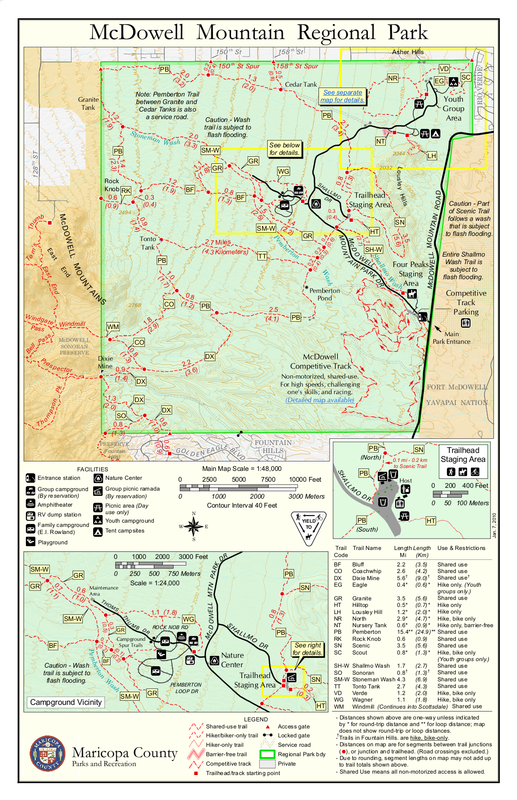 The Park is 21,000 acres, composed primarily of the lower Verde River basin. The Verde River is still a few miles east of the Park, but from any elevated vantage point you can actual see the land sloping down towards the river. 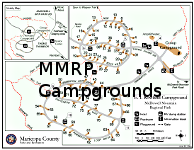 There are over 20 trails in the McDowell Mountain Regional Park leading to a variety of combinations for varying difficulty and distance. Hike:The Tortoise Trail is one of the shorter trails within the park stretching for .7 miles. 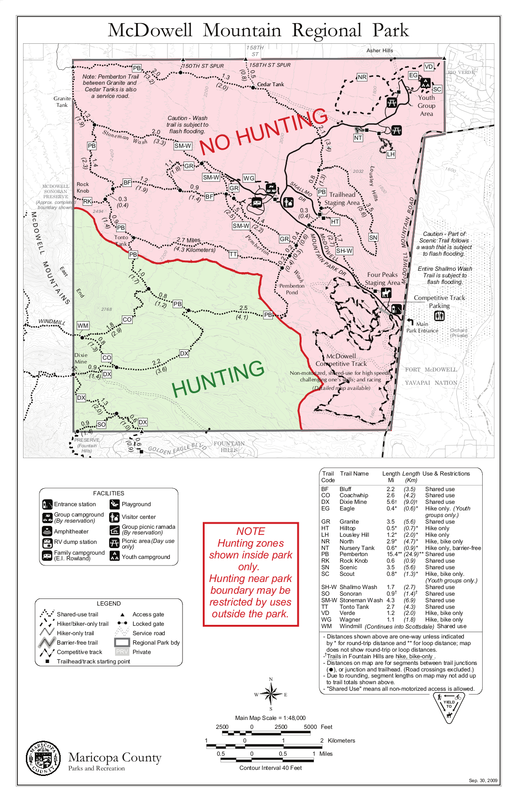 It can be reached from either the Pemberton staging area or from the visitor's center. The Pemberton staging area provides much parking, picnic tables, bathrooms and drinking fountains. To get to the Tortoise Trail take the western Pemberton track (which is located where the cars enter the parking area) for about 20 feet. The trail is well established and signed so it is difficult to miss. 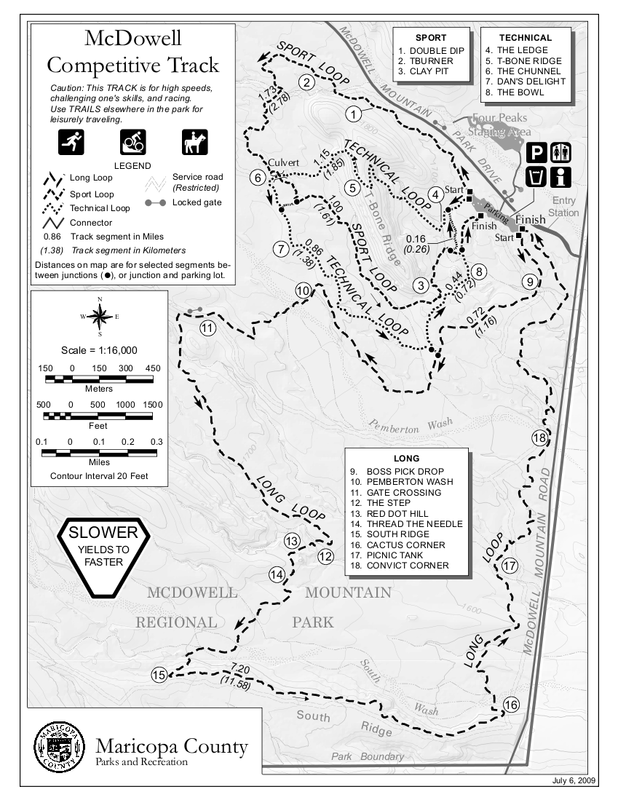 The trail, which is about 2 ft wide and composed of crush granite, heads in a northward direction up a gradual slope. The elevation change is very minor. The track has a few twists and turns but is overall very straight. The trail is very exposed providing little protection from the elements. There are a few ironwood that crowd the trail at one point, but otherwise it is mainly low lying shrubs like creosote and brittlebush. The trail ends when you reach the visitor center.